Innovation is for people, and it starts with them too. The HeadStarter Network believes that enhancing innovation in early childhood education means enabling the early child community to think, feel, and act like innovators—by equipping practitioners with the tools, knowledge, and spirit to do so in their everyday work. 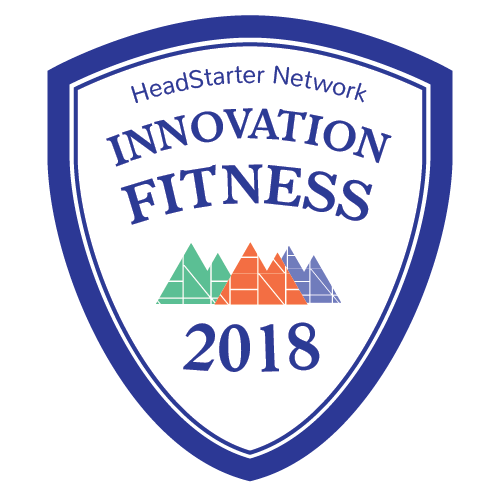 The HeadStarter Network’s Innovation Fitness program offers an opportunity to acquire both the soft and hard skills that will help you innovate in your area of work, and it will challenge you to upgrade and expand your existing capabilities. Even the most experienced innovators must constantly “renew their license” and become more proficient while maintaining the mindset of an absolute beginner who does things for the first time. The Innovation Fitness program provides a carefully curated mix of inspiration and implementation through a variety of case studies, deep-dive conversations, simulations, and workshops. And last, but not least, you may inspire others with your knowledge and serve as an innovation coach. At every event we conduct we give participants badges to show their continuous progress to a more innovative future. At the Catalyst, attendees worked in groups to discuss opportunities of AI, neuroscience, and early ed that positively impact students, teachers, and parents. Each group considered the ethical dilemma this might bring and one group spent their afternoon identifying a problem statement with proposed solutions. Participants earned credits in design thinking, technology, and understanding humans. The Innovation Fitness program debuted at the 2018 Early Childhood Innovation Summit in Louisville, KY. At the Summit, attendees earned credits in product management, intrapreneurship, design thinking, technology, understanding humans, and marketing and communications. After earning all the credits, participants were awarded the their first Innovation Fitness Badge.